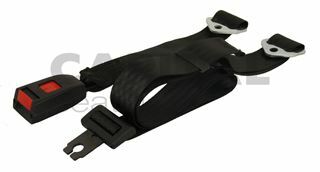 A durable 2-point static extra long lap belt with webbed buckle. Suitable for a range of applications including cars, vans, forklifts, tractors, construction machinery and more. The belt length is adjustable to achieve the desired length for your application.